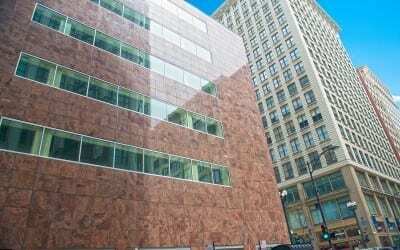 Klaff Realty, LP engaged in the acquisition renovation and leasing of the 10 West Jackson Building (formerly the Bond Department Store Building). In August 1990, the partnership executed a new, long term lease with the Immigration & Naturalization Services branch of the United States Government for all of the office space in the 100,000 square foot building. The property was sold in 2007.